The Prestige range is a classically designed collection with a traditional look focusing on high level performance and style offering a great level of protection. 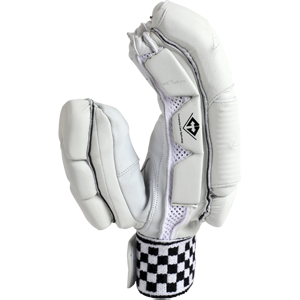 Traditional pre curved fingers with soft feel lining providing maximum protection and comfort. 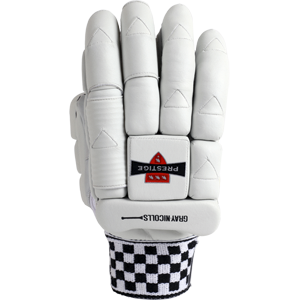 Fibre-shield overlay on lead two fingers with Gel-Tech finger and right thumb guards and sponge underlay for extra protection. Airflow gusset for ventilation and dual sided sweatband for moisture absorption and player comfort. Premium supple sheep leather palm retains grip and feel.